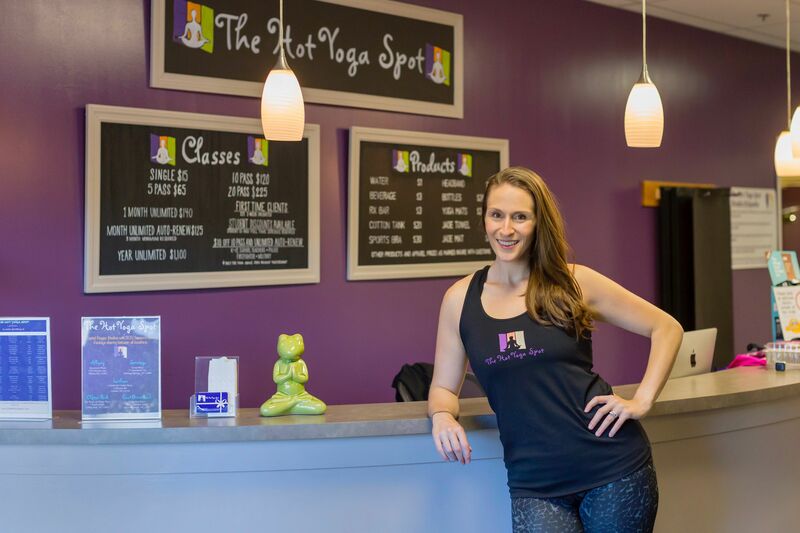 Through her passion for yoga and desire to help others, Jessica Fuller, founder and CEO of The Hot Yoga Spot, has created a vibrant and connected community. Her mantra of peace, acceptance and persistence has served as her beacon and as the foundation of The Hot Yoga Spot’s core values. Jessica opened her first studio at the age of 23 after graduating from the University at Albany with a master’s in education. Jessica always planned on working as a high school teacher because she loves learning and has a passion for helping others to grow and realize their potential. It was while in grad school she realized her love for teaching and enthusiasm for yoga could beautifully blend to positively impact others. After a year of pursuing the limited teaching positions available in secondary education without success, Jessica realized life was pulling her in an unexpected direction. She was practicing yoga regularly and observed how dedicated students were. She loved how people were empowered to change their bodies, minds and attitudes when on their mat and she knew this was how she could become a positive force and influence her community. Even though she never planned on owning a business, she took a risk and founded The Hot Yoga Spot with the mission to lead, learn and empower. Today, Jessica guides a team of more than 50 yoga instructors across six locations and welcomes new students to The Hot Yoga Spot each week. She has cultivated a supportive wellness center, providing a safe and warm environment for all. Under her mentorship, many of her instructors have been inspired to create training and leadership programs, opened their own businesses and have forwarded her mission to service others. Jessica loves helping people feel fulfilled and in control of their lives, businesses while creating and growing their connection with their community. Jessica is overjoyed to welcome new partners to The Hot Yoga Spot family and welcomes the opportunity to share this empowerment and strength while spreading the yoga love.